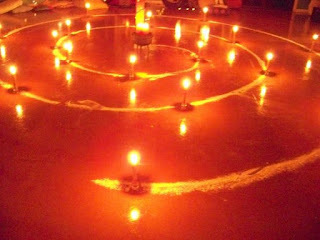 Where we experience and celebrate the Mystery of the Divine Feminine, the Sacred She. Will you join us? 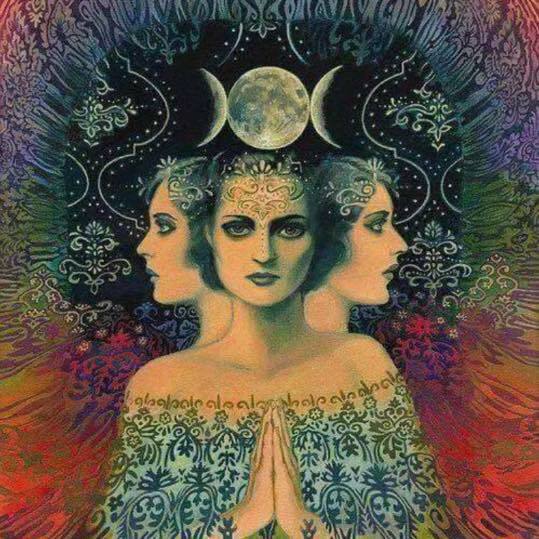 "I begin at the center, says the wise woman seer." "I come from the chaos and the completeness at the centre of the spiral." "In the natural flow of my expansion and enrichment, I encounter pain; I lose control; I die." "In the natural flow of my curiosity and play, I discover joy and wisdom. I am born." 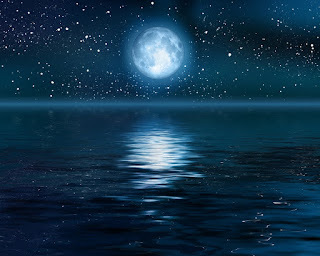 For over ten years, around the first full moon of the year, I have lead a special beach side rite that honours the Yorùbá Orisha or Goddess of the living ocean Yemaya (also spelt Yemoja and Iemoja). Originally from West Africa where her name means "Mother whose children are like fish”, Yemaya is the owner of the Ogun River and a lake named for her. As the African diaspora occurred, Yemaya traveled with her children to the Americas and Caribbean, where the Mother of Waters became known as Mother of Oceans. Due to family commitments, this annual event will be taking place around the second full moon of 2018, Wednesday, 31 January. As such, I invite you to join me in this informal rite that will be held at Grange Beach where we will be asking Yemaya to bless the world's waterways, seas creations and all other beings that fall under Her protection. 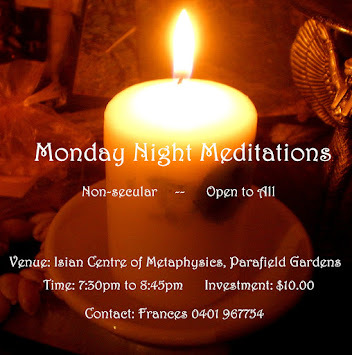 Once the energies of this current full moon have subsided, Full Moon Meditation and Healing circles will be held at Port Adelaide commencing from August with a lunar eclipse and the moon being in Aquarius. 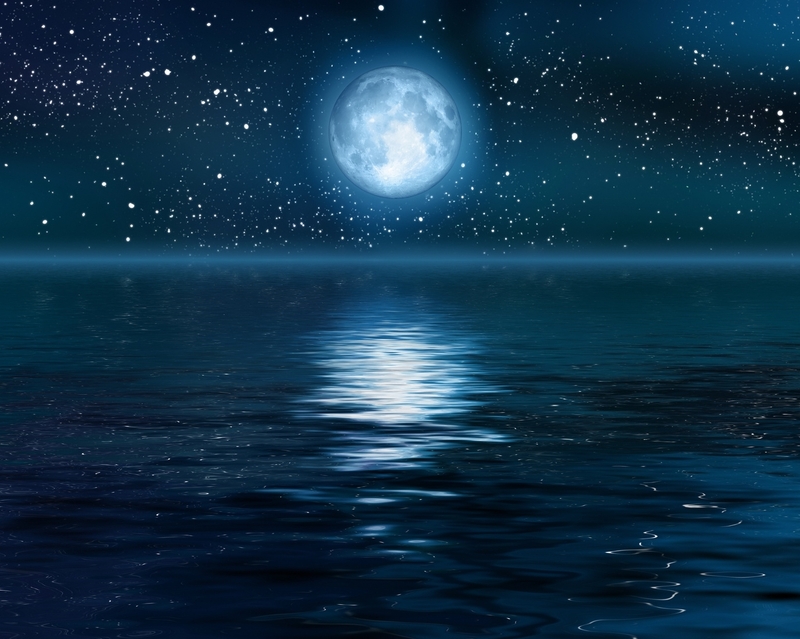 The energy of the full moon tends to make us purge and release things from our lives. Therefore it is important that we make sure that we are in control of what we are releasing due to the heightened emotions also experienced around the time of the full moon, otherwise we may regret our decision. Often the full moon is a time when we reap what we sowed at the new moon, for good or for ill. As such we need to be mindful of what we bring into our own lives. If you are interested in attending, bookings are essential as there are limited places available. Secure bookings can be made Paypal. The Kabbalistic Tree of Life is the map of the life journey that each soul has to go through in the incarnational experience in order to reach an enlightened state of consciousness. It is a very important symbol of creation which encompasses the entire meaning of the universe. The Kabbalistic teachings state that the origin of the universe and the world began by God’s creation of the ten sefirot, or emanations, enumerations or characteristics of God. Everything begins with Kether, the Crown, and moves down the Tree to reach Malkuth, the Kingdom. Each sphere (sephira) corresponds to a Divine name and the unfolding of the Tree of Life illustrates the ways God has designed energy to flow into creation. 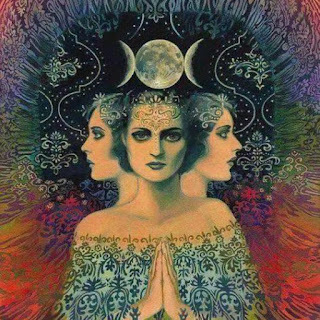 The Archangels that are related to each of these spheres express that energy throughout the universe and play a specific role in mediating the divine influence via the celestial bodies, the planets and the stars. I am excited to announced that from the end of March, events will also be held at Port Adelaide as well as the Isian Centre of Metaphysics. Last month I took possession of the keys to a beautiful upstairs room at Kyle Place (near the corner of Commercial Road and St Vincent Street). I had hoped that the room would be ready at the start of March, however February saw other commitments taking precedence, resulting in a delay in preparations. 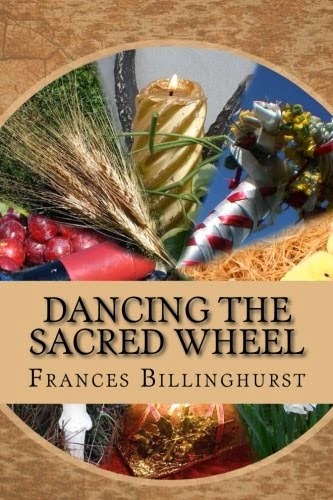 The second edition of "Dancing the Sacred Wheel: A Journey through the Southern Sabbats" is now available through www.createspace.com or direct from the author (Australian customers only) for an autographed copy. And the elements are in subjugation. Principle of all the Gods celestial and the light of Goddesses. And the silences of the unseen world. 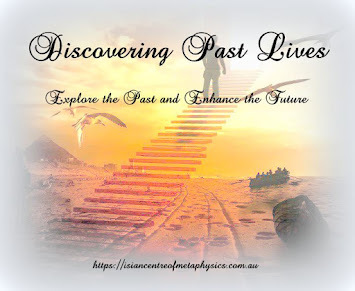 The Goddess House was established in 2007 as a sacred space located in Adelaide, South Australia wherein the focus is on experiencing the Mystery of life and explore the Magic that surrounds us in order for us to fully Embrace Life. The founder and Priestess in Residence of The Goddess House is Frances Billinghurst who has a life long interest in mythology, metaphysics and the mysteries of life. A prolific writer, Frances is has had essays to over 20 publications and is the author of three books as well as having contributed to numerous anthologies. An experienced ritualist, Frances has been holding sacred space and sharing her knowledge and passion for the magical and mystical for over 20 years. 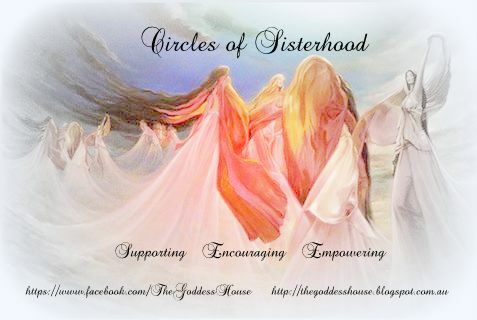 It is this varse experience that Frances brings to The Goddess House. 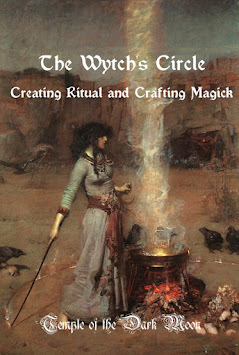 “The Wytch’s Circle” is specifically designed for both the complete beginner as well as those who have had some ritual experience (either solitary or within a group) and who are seeking more advance and indepth instruction. Commencing Thursday, 5 April 2018. This interactive workshop will be taking place on Saturday, 28 April 2018. 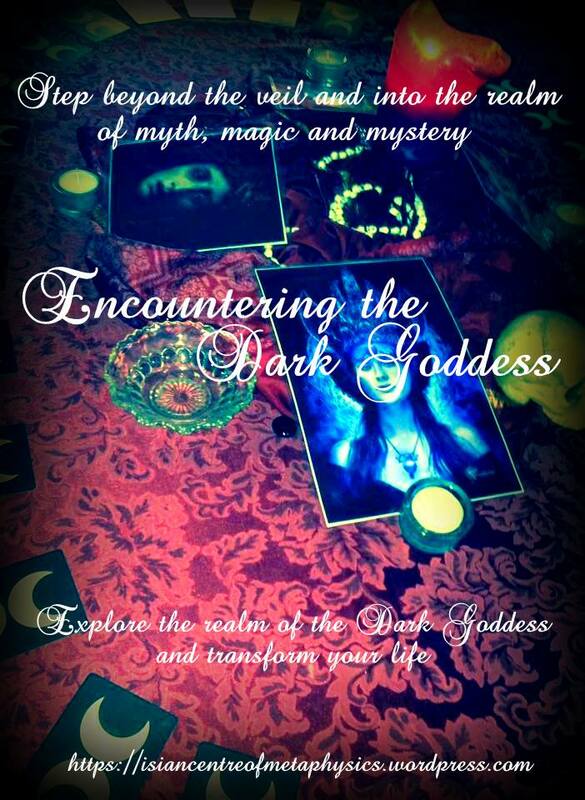 Join us for this unique opportunity to step through the veil and into the realm of the Inner Self, and being introduced to various aspects of the “Dark Goddess” who we will work with through the use of ritual, myth and magic. 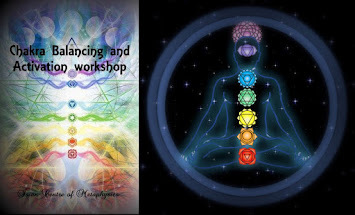 This workshop will provide you with the knowledge and tools you need in learning how to balance and activate your chakras so that they function correctly through the use of colour, meditation, crystals, and sacred sonic vibration. Taking place on 12 May 2018. Limited places. 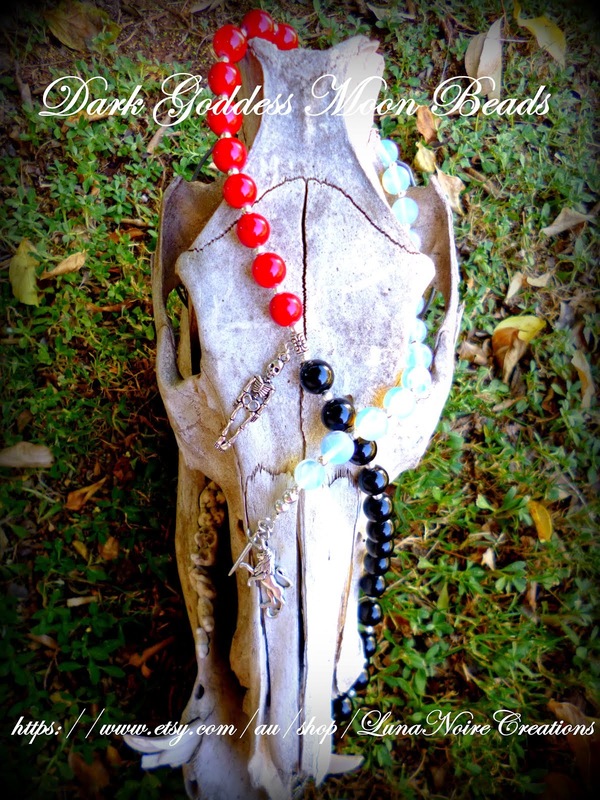 A wide variety of devotional bead strings and prayer rosaries are available through LunaNoire Creations. Made from AA+graded crystals and Tibetan silver charms, we make to order and post worldwide. 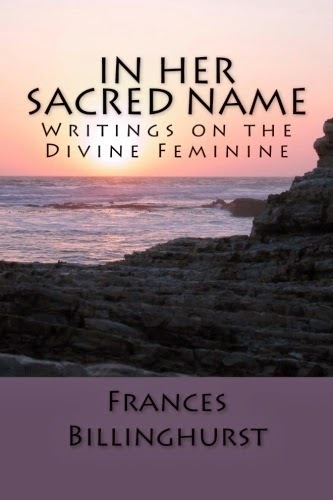 Signed copies of "In Her Sacred Name: Writings on the Divine Feminine" are available from The Goddess House (Australian customers only) or click on the photo for more information as how to order your copy of this wonderful book.